MJW provides world-class experience in the evaluation of exposure to radioactive material. MJW has extensive experience, especially in reviewing and developing internal dosimetry programs. MJW has extensive experience in performing shielding calculations for government and commercial applications. We have established and tailored courses of study in several areas of radiation protection (both nationally and internationally) with concentrations in internal dosimetry and statistics. Depositions and trial testimony on matters concerning radioactive materials and radiation exposure. The MJW Companies provide both professional and technician level support for the characterization of potential radiological hazards in the field (e.g. MARSSIM services, Overland Gamma Surveys, Waste Certification Services, etc.). MJW provides a wide range of emergency management services including program planning, evaluation, and training. MJW staff provides expert-level experience in accident investigations and readiness evaluations. MJW offers a wide range of environmental, safety, health, and quality assurance related services. 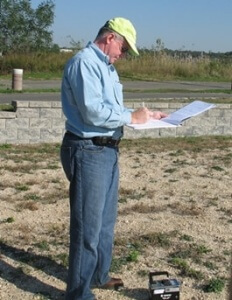 For more than 30 years, the MJW Companies (MJW Corporation, Inc. and MJW Technical Services, Inc.) have helped clients across the United States and internationally better understand and effectively comply with complex nuclear and radiological regulations; to protect workers, the general public and the environment from radiological hazards; and to measure, interpret, and control radiation exposure through applied health physics. Expert witness consulting, depositions and trial testimony on matters concerning radioactive materials and radiation exposure. For more details on MJW Companies services, please click here.